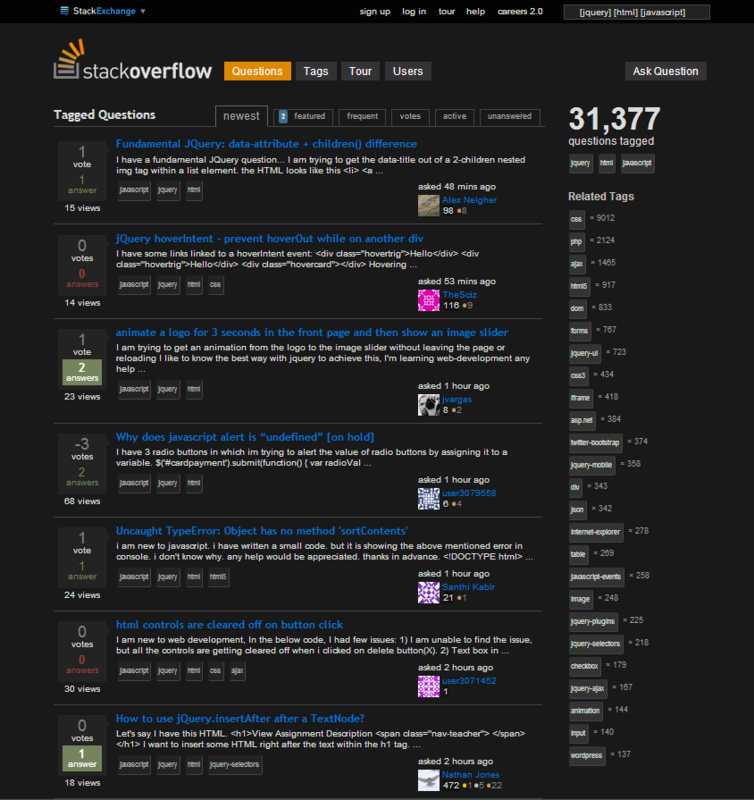 If you prefer browsing Stack Overflow with a dark theme (I do! ), you can tell your browser to do so using Stylus - an extension available for Firefox, Chrome, and Opera. Stylus lets you apply any theme you want to any site. For browsing Stack Overflow I really like this dark theme. SECURITY NOTE: Previously there was an extension named "stylish" instead. Stylish has now turned into spyware and tracks your browser history. I do NOT recommend using it. Use Stylus. It is a clean, forked version with no tracking. See the Stylus GitHub FAQ for details. There are many browser extensions that will do the trick very nicely. Search for "dark reader" followed by your browser. A slight downside is you might need to turn off the extension for sites with naturally black backgrounds such as jsfiddle. If you're in a Windows OS you can always activate high contrast and use Edge or Internet Explorer 11. We have no plans to maintain two different styles for Stack Overflow at this time. New feature: Add a night mode button? Can Stack Overflow support Dark Mode? Is there a way to set a dark background for StackOverflow? Is it possible to change color theme on Stack Overflow? Change color of inline links in SO? Implement J / K keyboard shortcuts to move forward/backward in questions feed?